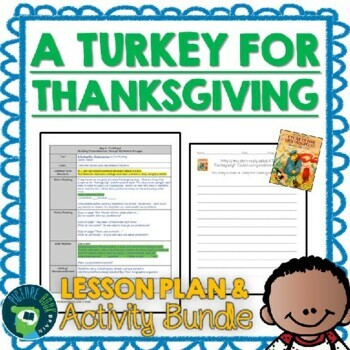 ✏ This is a guided reading or interactive read aloud lesson plan for the Thanksgiving mentor text picture book A Turkey for Thanksgiving by Eve Bunting. 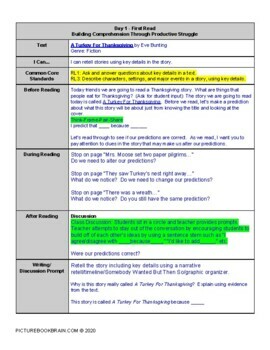 The plans include a teacher script with strategic stopping points and questions for students. 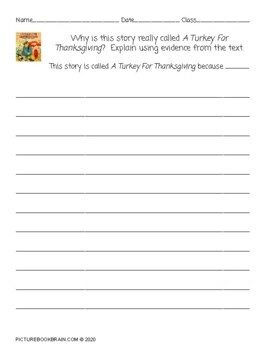 It also includes printable prompts for student responses through discussion, in writing or reading response logs. 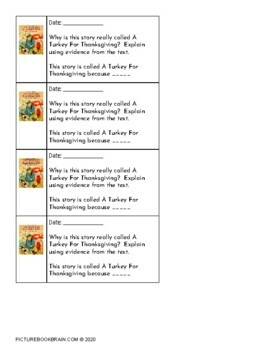 This lesson is focused on a theme of key details, predicting, descriptive language and author's message / lesson but can easily be modified for other uses.